Dr. Jeffrey Leeman was born and raised in the suburbs of Atlanta, Georgia. He is the oldest of four boys and grew up surrounded by family pets, drawn to science and animals at an early age. His mother still tells stories of how he cared for and tended to animals as a young boy. Dr. Leeman pursued his passion and moved to the high country of North Carolina to attend Lees McRae College, where he earned a Bachelor of Science in Pre-Medical Studies. During his time in the Blue Ridge mountains, Dr. Leeman was very active in wildlife rehabilitation and parasitic studies at both Lees McRae and the Blue Ridge Wildlife Institute. After completing undergraduate school Dr. Leeman married his high school sweetheart, Alison, and together they moved to St. Kitts to further his education at the high tech and immersive Ross University School of Veterinary Medicine. Upon completion of his pre-doctoral studies he relocated once again to Auburn University for his final year of clinical training. 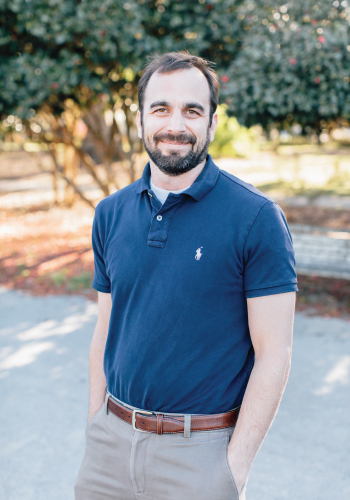 After graduating veterinary school in 2011, Dr. Leeman accepted a position as an associate veterinarian in Charleston. Since then he has been a practicing veterinarian in West Ashley and James Island. Both he and his wife immediately fell in love with the low country and decided to make it their permanent home for raising their family. 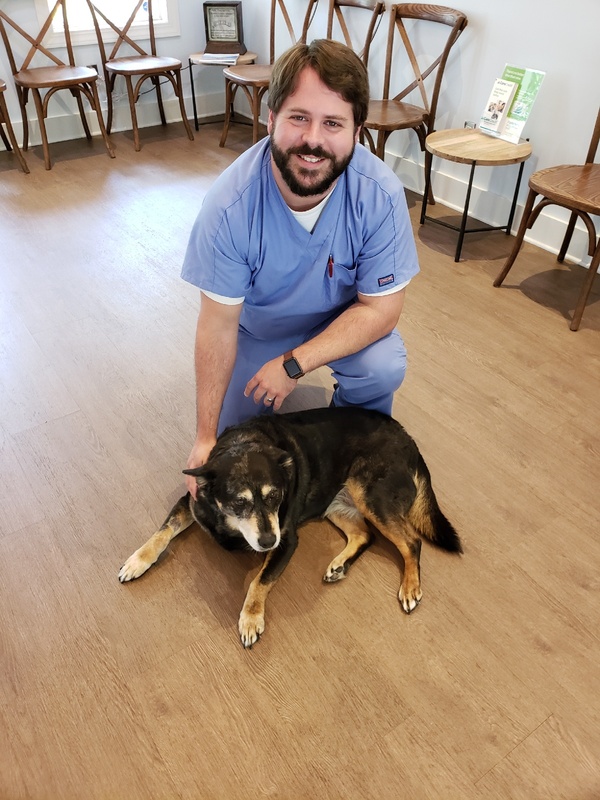 He is passionate about all aspects of veterinary medicine but he truly loves the special bond between pets and their owners. In general practice medicine, he finds extra satisfaction in proactively keeping pets healthy, laceration repair, end of life management and, of course puppies. Dr. Leeman and his wife are the parents of four children (three boys and one girl), two dogs, two cats, several turtles and dozens of fish. In his free time, he is likely at home spending time with his family. He enjoys backpacking, kayaking, nature walks with the kids and anything involving the outdoors and biology. Rachel is the warm and friendly face that greets our clients and patients upon their arrival at the clinic. Born and raised in Greenville, North Carolina, she moved to Charleston back in 2011. Rachel attended and graduated from Charleston Southern University with a degree in History and English. She is an active member at her church and enjoys leading her local bible study. She loves spending her free time reading, being outdoors, going to the beach and spending time with family and friends. Currently, she is attending school for hair and loves to cut and color in her spare time. She has two dogs: Finn, a German Shepherd/ Husky mix and a Basset Hound puppy, Juliet. Rachel works hard to provide our clients with five-star customer service. 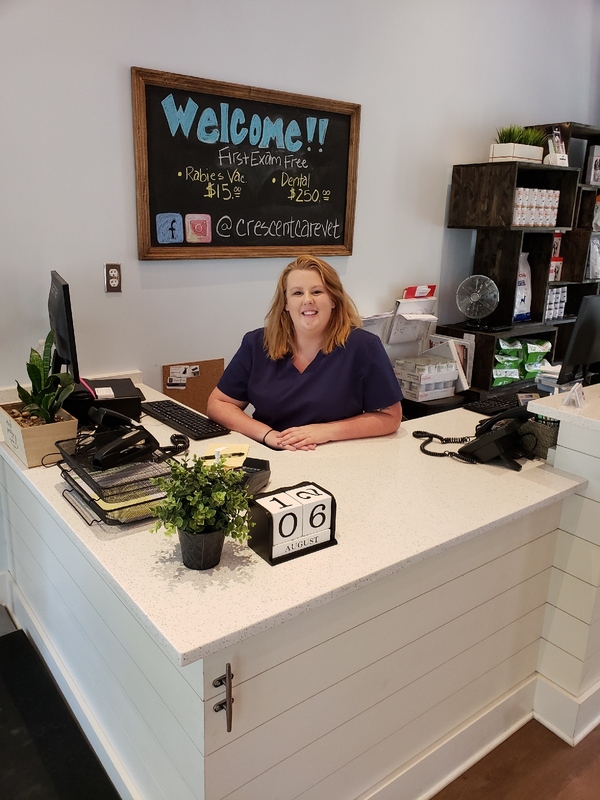 She is kind, compassionate and is a vital part of the Crescent Care team! Paul is Charleston native. He attended Porter Gaud and then went on to earn degrees in Bio-Chemistry and Animal Veterinary Science at Clemson University. Paul has worked in the veterinary field for many years working 3 years previously with Dr. Leeman. He and his wife, Sylvia married back in 2015 and are happy to be back home in the low country after living in Knoxville, Tennessee for the past several years. They have two dogs, Lady and Knox and two cats, Hershel and Billie Jean. In his spare time, Paul enjoys cooking, fishing, reading and brewing beer. Our patients and team are lucky and better off to have such an experienced, gentle and compassionate tech to help with their overall care! 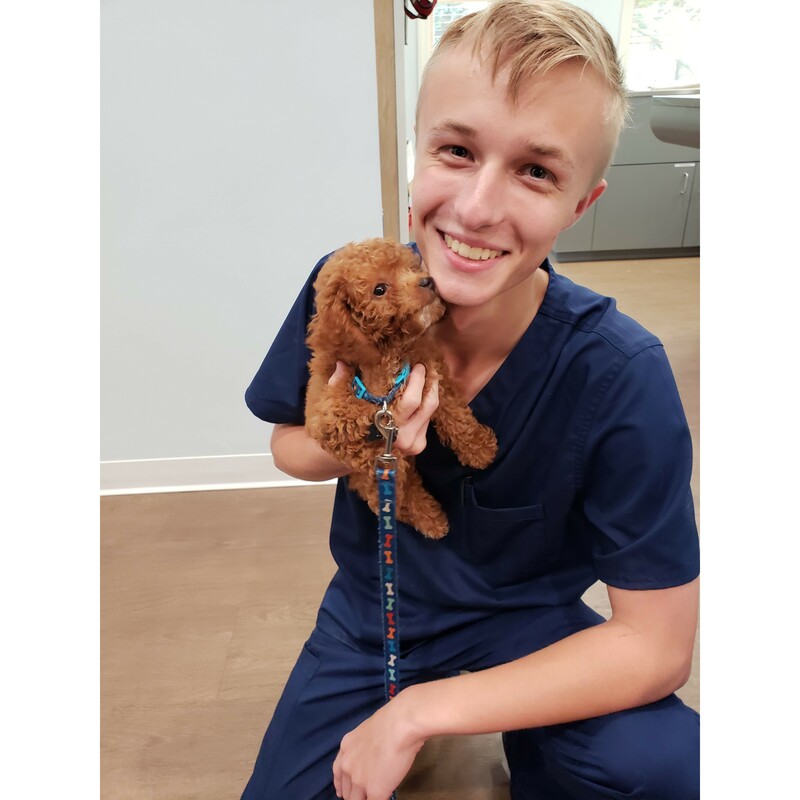 Mike is a senior at Wando Highschool and joined our team last summer with the hopes of learning more about veterinary medicine. He has quickly shown initiative and interest and has taken on many important tasks in our day to day operations here at Crescent Care. From a young age, Mike has assisted and been exposed to breeding Norwegian Elkhounds and learned the proper care for both puppies and adult dogs. Growing up his family has always had cats as pets. As college opportunities approach, he is hoping to stay in the veterinary field and after would like to work with wildlife rehabilitation or medicine. His hobbies include hiking, biking, being outdoors and hanging out with friends. We are pleased to have such a great young man be a part of our team!